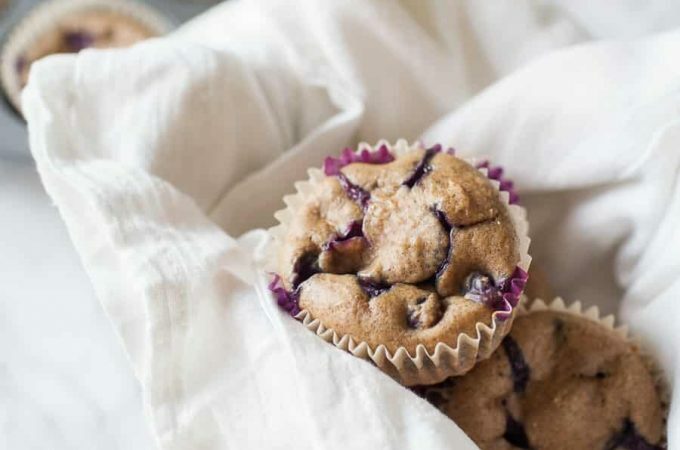 Make these light and fresh blueberry chia seed muffins for breakfast this weekend! The chia seeds add a fun texture and the blueberries are the perfect amount of sweetness for this breakfast treat. Hi everyone! I’m Jenna and I blog over at A Savory Feast. I write about all things food — creative recipes, cooking techniques, foodie road trips and more. 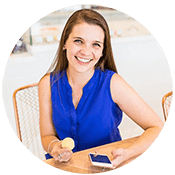 Madison is one of my blogging BFF’s, so I was thrilled when she asked me to guest post! I know Madison has a love for breakfast foods, so today I’m sharing my recipe for Blueberry Chia Seed Muffins. 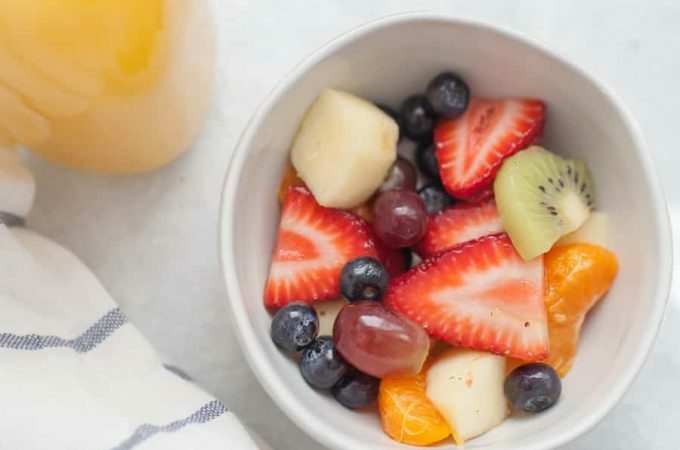 It’s the perfect weekend breakfast! 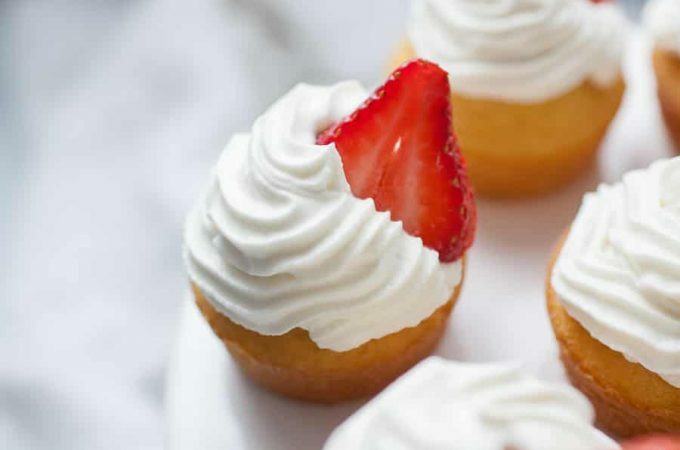 They are simple to make and are delicious but not overly sweet. There’s just something about muffins for breakfast! It’s such a satisfying dish. Lately I’ve been trying to avoid heavy breakfasts, but I couldn’t resist making these muffins one Saturday morning. I’m kind of weird about blueberries. I don’t like them by themselves, but they are SO GOOD when they are cooked into a breakfast food. Whether it’s pancakes, french toast, muffins or waffles, I love it. Chia seeds are a new obsession of mine. Every month I host a recipe challenge on my blog, and last month our ingredient was chia seeds. I’ve been trying to find creative new ways to use them ever since. 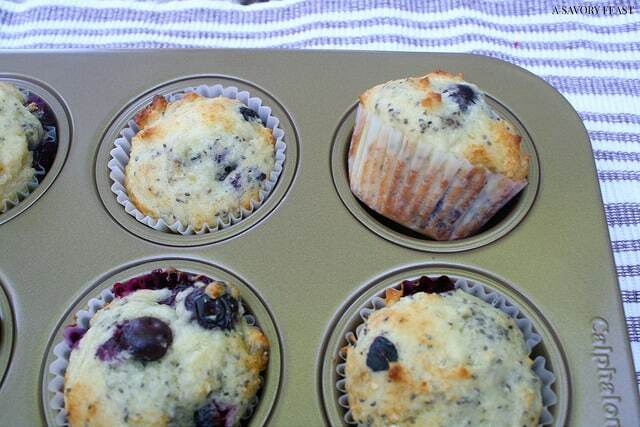 Turns out, chia seeds are amazing in muffins! They add a unique texture that I just couldn’t get enough of. 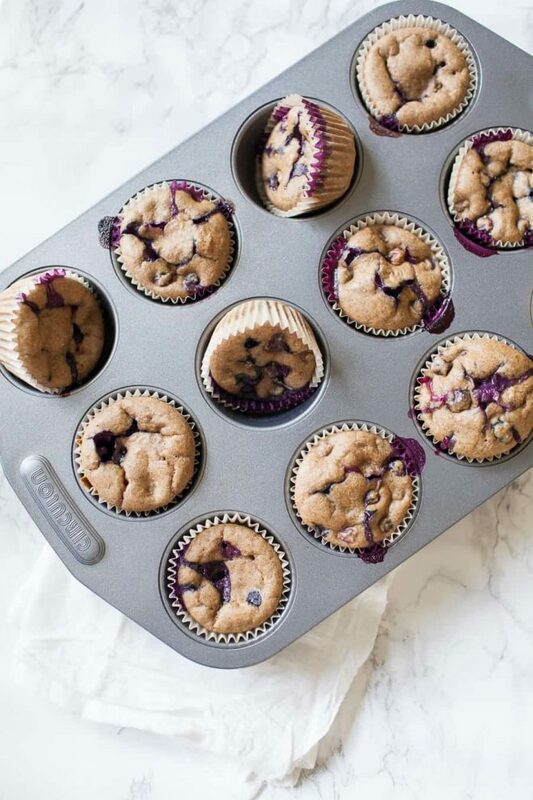 Combined with the blueberries, these muffins are sure to be a hit. 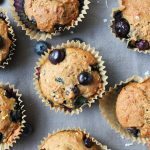 These healthy no sugar added blueberry muffins are the perfect treat because they are sweetened naturally with dates! 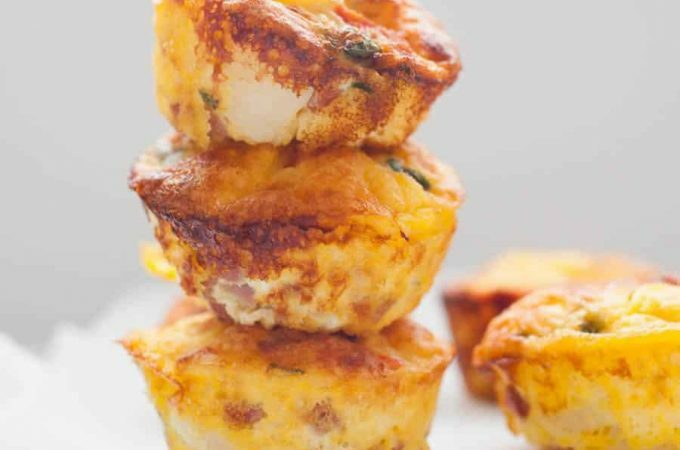 One of the best things about muffins is that they are great for an on-the-go meal but feel like a special treat! You can make a batch ahead of time before an early morning road trip or even to surprise your kids before school. A big thanks to Madison for asking me to guest post today! I’ve had a lot of fun sharing my Blueberry Chia Seed Muffins with all of you. I hope you enjoy them! Hey! Love this recipe? 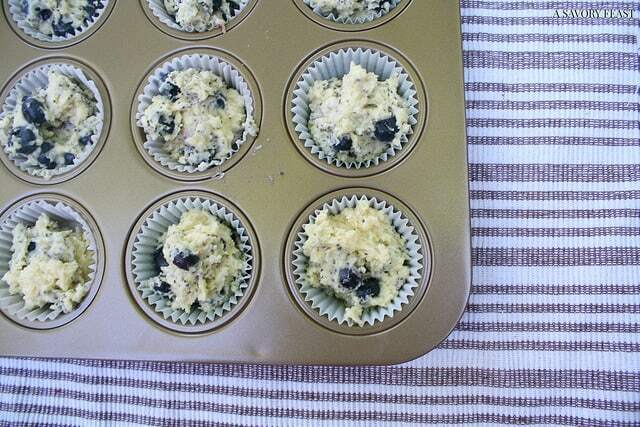 Check out this recipe for no sugar added blueberry muffins! Preheat oven to 375 F. Grease or line a 12-count muffin tin. In a medium bowl, whisk egg and sugar until combined. Add yogurt, coconut oil, honey and vanilla. Mix until combined. Combine the wet and dry ingredients and mix until just combined (be sure not to overmix or you will end up with dense muffins!) The mixture will be thick, similar to cookie dough. 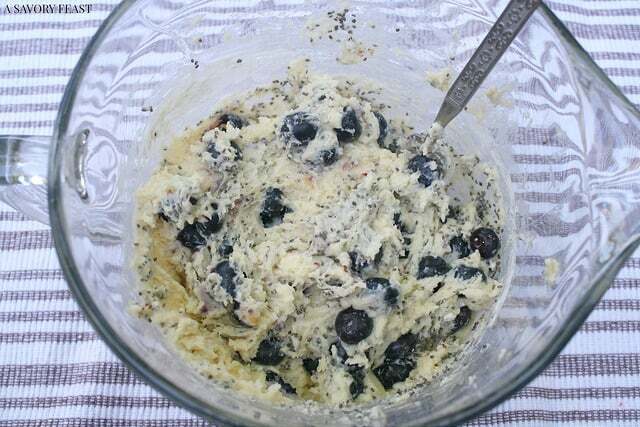 Gently fold in blueberries and chia seeds. Divide the batter into the muffin tin. Bake for 15-20 minutes or until golden brown and a tester inserted into the middle of the muffin comes out clean. Be careful to fold blueberries into the mixture to prevent crushing. If using frozen blueberries, do not thaw first. Thanks, girl! Chia Seeds are one of my current ingredient obsessions. I have been trying all sorts of recipes with them lately. They add an awesome texture! I absolutely love these muffins!! Do you know by chance the nutritional info on them. I can eat them all day long!! I did cut back on the amount of blueberries!! Was getting too much berries and not enough muffin!! I have incorporated chia into my diet daily and it has corrected a digestive issue I’ve been having since I had my gallbladder out!! (Diarrea after eating). I have stopped taking Imodium twice daily and also an otc med!! Chia has been my miracle food since last December!! Hi Natalie! I just updated the recipe card with nutrition info. I’m so glad you liked these! I can’t say enough about Chia seeds. It is a daily regimen of mine. They truly are a superfood. It has omega 3 ‘s, protein, fiber, and gives me strength to finish my tasks. Not to mention how I feel. I use coconut water 8 oz, add 1 teaspoon of Chia seeds daily. I love it.. These sound so good! A great way to get chia seeds to kids, too! They were delicious! I’m sure your kids would LOVE these muffins! You could make them the night before and enjoy them for breakfast before school. Give me all the blueberry muffins! YUM! These look great. Blueberry muffins are my FAVE! You will love this recipe. YUM! It is so fun to start Madison’s guest posts off for the month. I love the photos and these look delicious. Definitely pinning this one for later. Thanks, Laura! I hope you enjoy these muffins. I am loving chia seeds lately, too! They are so yummy. ohhhh chia seeds in muffin! i think i shall go get the rest of the ingredients to make these! They add such great texture to the muffins! You will love them. Yum! These look delicious! Chia seeds are so good for you…superfood! Yes, they are! I’ve been doing a lot of experimenting with them to figure out how I can incorporate them into my food more often. Oh my goodness, YUM! These look so good, Jenna! Thanks, Jenna! I love baking on a Saturday morning, so these were a lot of fun to whip up. And they taste wonderful, too! Just made these. I had plain yogurt so used that instead of the Greek. Followed the recipe as-is otherwise and they’re delicious. My four year old and my husband both loved them. I used frozen blueberries. Thank you for a great recipe where I could use the chia seeds I just bought! That’s a great substitution! I’m glad your little one and husband enjoyed them, too. Thanks for the comment, TW! What oy her type of flour can i use for this recipe? My son has to stay away from regular flour and wheat flour. Do you happen to know how many calories are in one blueberry Chia muffin? I have my own re up a for Blueberry Spiced Muffins. Can i simoly add 2 tabkespoons of chua seeds to this recipe. I should have edited that msg before I sent it. Sorry about all those errors, but I’m sure get the gist of it? Can I simply add chia seeds to any muffin recipe I have? I tried this recipe and liked it but wanted a lower carb option so, I tried it with fine ground almond flour. I liked the taste and texture of them! I used 1 cup almond flour and 1/2 cup regular all purpose flour. Next time I make them, I will try with all almond flour. I used silk dairy free yogurt, added lemon zest and had to use some cut up apricot because I didn’t have enough blueberries. Sooo good! These look amazing! What can I substitute for the coconut oil? Can I use other types of oil as coconut oil is quite expensive. Yum! Super easy, made these early on a Sunday morning before everyone was awake. I used melted butter for coconut oil since I was fresh out and they turned out beautifully!! I’m so glad you liked them! Subbing for butter is perfect. Good idea!